Delhi has once again witnessed a spike in air pollution levels. 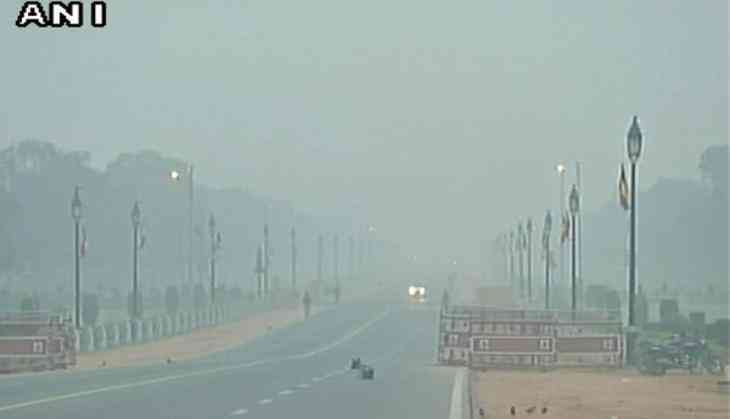 According to the System of Air Quality and Weather Forecasting And Research (SAFAR), the air quality is reported to be 'very poor' since today morning. The SAFAR forecast said that PM 10 was recorded at 289 and PM 2.5 at 177. The minimum temperature recorded by the Met department was at 8.2 degrees Celsius. On December 8, the air quality index was 194, which is 'moderate', according to the Central Pollution Control Board (CPCB). This was the first time in two months that the air quality had improved to a large extent. It remained in the 'moderate' category till December 10. Due to decreased visibility, at least ten trains were cancelled and 17 were delayed. Two others have been rescheduled. The visibility was down to 1,200 metres. On Sunday, around 19 trains were cancelled and 19 others were delayed, due to fog in several parts of northern India. Seven of them were rescheduled. An official at Indian Meterological Department (IMD) said, "There is a possibility of light rains in the evening today. The maximum temperature is expected to hover around 27 degrees Celsius. The humidity level recorded at 8.30 a.m was 92 percent. The minimum temperature recorded yesterday was at 7.4 degrees Celsius. The maximum temperature settled at 27.2 degrees Celsius. अक्षय से बोले पीएम मोदी- आपकी पत्नी मुझ पर करती हैं गुस्सा तो ट्विंकल खन्ना की तरफ से आया ये जवाब..